I have been adding new plants each year, and now have lot’s of Mother plants to take cuttings from. I fill flats with a sand and soil-less potting mix. Tuck in all the little cuttings, and wait patiently in the greenhouse. 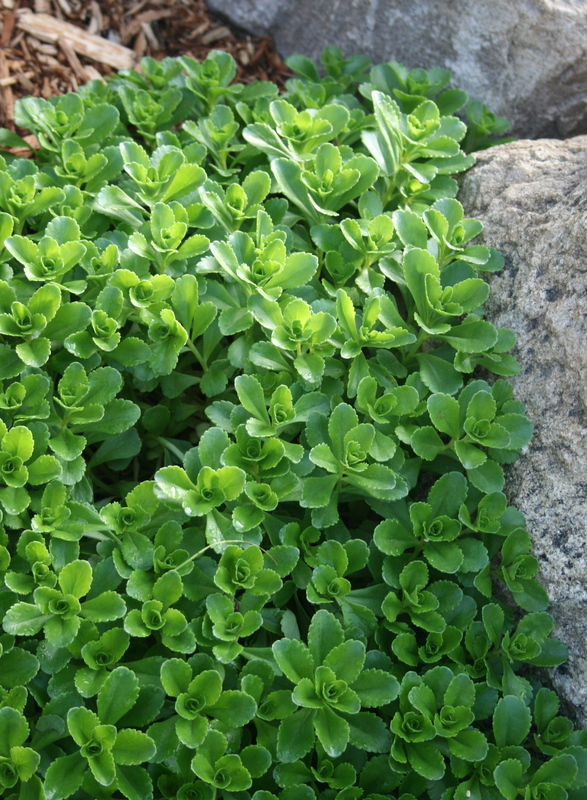 When they resist a little tug–they are ready for either a larger pot–or right to the garden. I love succulents! So hardy..mine are bright green in the middle of January..amazing! I thought of you when I put this post together! 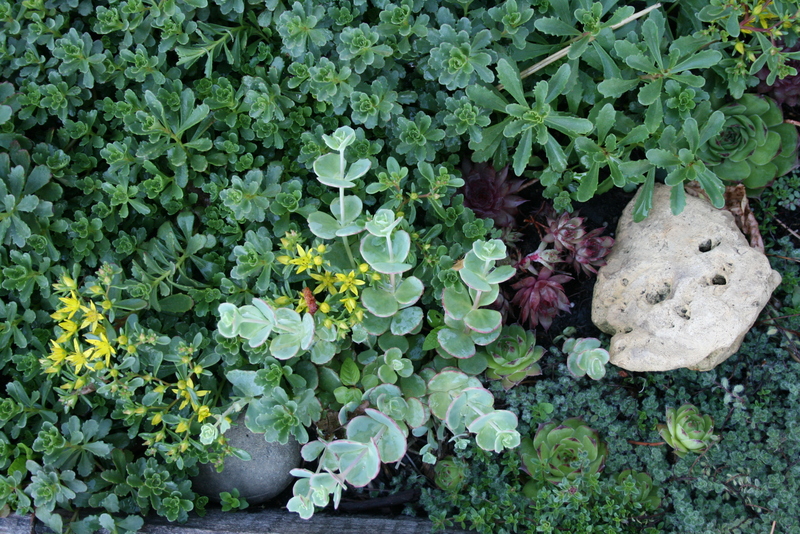 Want to trade some Sedum’s this year? Sure! We should go to the Friends plant sale up at the fairgrounds..they have a wonderful variety and low cost. I keep adding more every year. 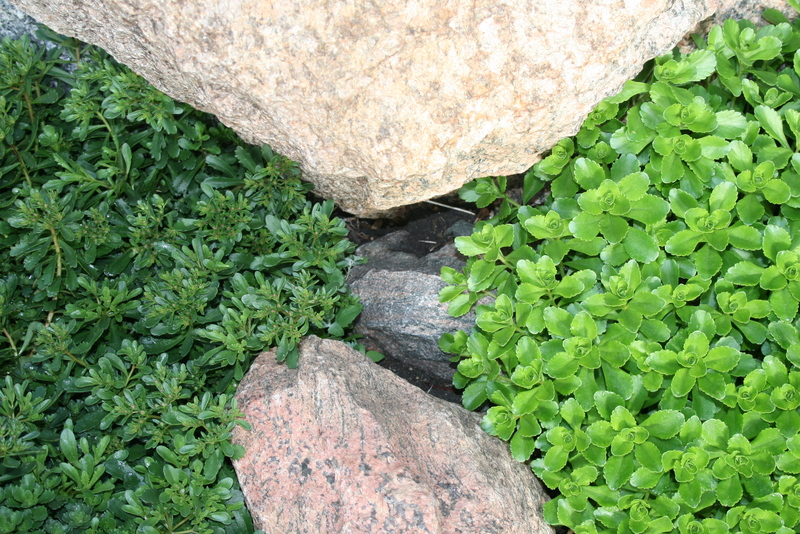 The one that is green right now is Angelina I think..one of my favorites as it spreads rampantly with no help from me. Rita, please let me know the dates of the sale!!! It’s always Mother’s Day weekend, Friday-Sunday. Big crowds Friday am, but half off on Sunday! 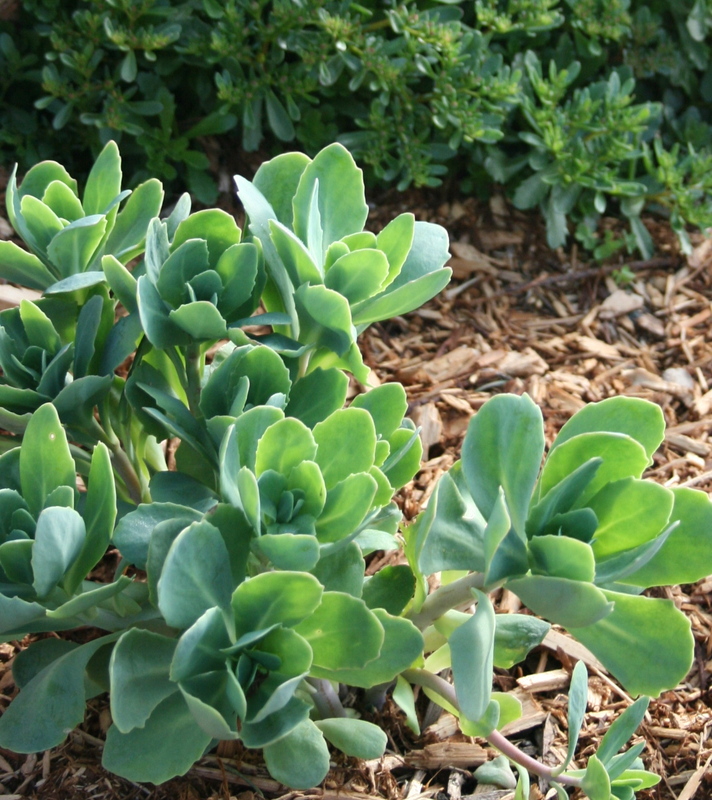 Try to add sedum’s along the edges of the garden…like you said, helps with weeds and I love the rambling feel it lends to the garden. I love that rambling look too. Looking at all your gorgeous pictures makes me miss my old yard. But we are currently house hunting and hope to have a yard soon. Happy house hunting! I’ll be happy to share my garden with you until your digging in the dirt yourself! As many varieties as possible, please!